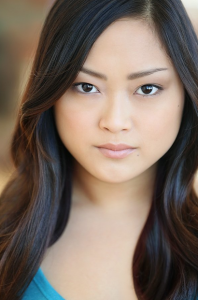 Sophie Oda will guest-star on the next episode of “NCIS: Los Angeles,” which will air on Tuesday, Oct. 29, at 9 p.m. on CBS. The actress and singer, who grew up in the Bay Area and recently graduated from UC Irvine with a BFA in fine arts, has appeared in several stage musicals and is now focusing on TV and film. The episode, titled “Big Brother,” is about a 15-year-old suspect whose hacking skills have compromised anti-terrorist missions. This year marks a decade since Oda, then 11 years old, appeared on “Star Search,” singing “Don’t Rain on My Parade” (from the musical “Funny Girl”) and winning high praise from host Arsenio Hall. For more information, visit her website, www.sophieoda.com.